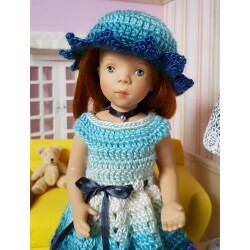 A crochet outfit for any 32-34 cm doll such as Minouches, Little Darling or Mini Marus. 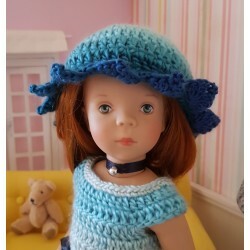 A crochet outfit for any 34 cm doll such as Minouches, Little Darling or Mini Marus. 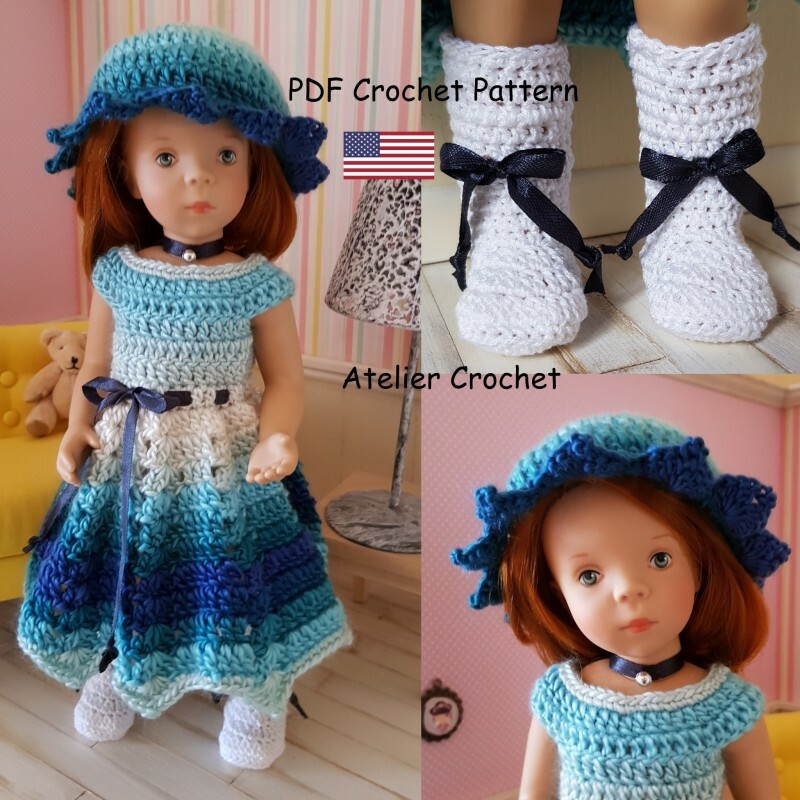 You buy a pdf file with dress, hat, necklace and boots pattern. 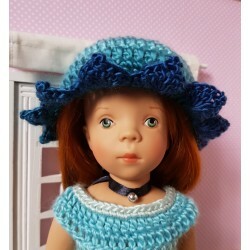 Materials : 1 ball of multi coloured wool yarn (Delight from Drops Design) and a size 3 crochet hook, 1 ball of white cotton yarn, (cabled 5 cotton yarn) and a size 1.75 hook, 1 small button to fasten the dress, 1 silvery bead, some black thread. 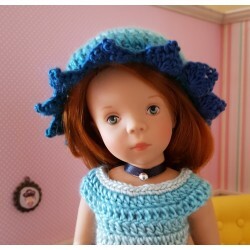 Le patron est aussi disponible en français dans la catégorie Patrons poupées 32- 34cm.